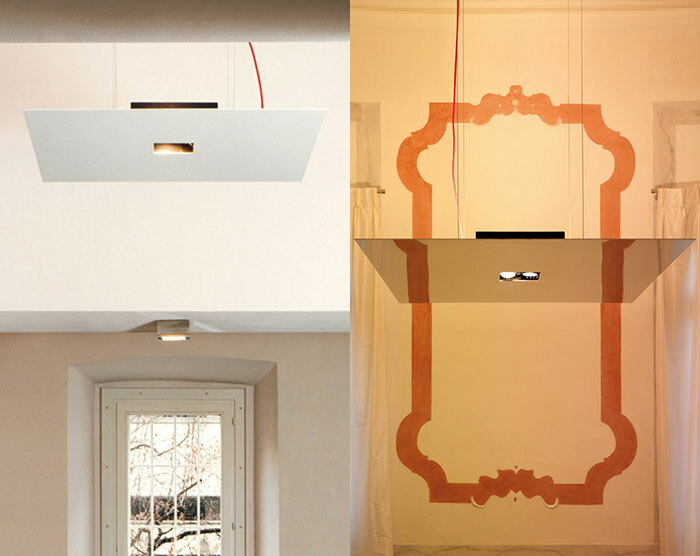 suspended lighting fixture for interior use IP20 consisting of a black painted box and a white or black painted, polished aluminium or plasterboard plate (990x990mm). dimensions profile: available in Rx7s 2x70W metal halide lamps, R7s-114 2x300W linear halogen lamps, or 2G11 4x55W fluo lamps. complete with power cable in red fabric (l. 3000mm). 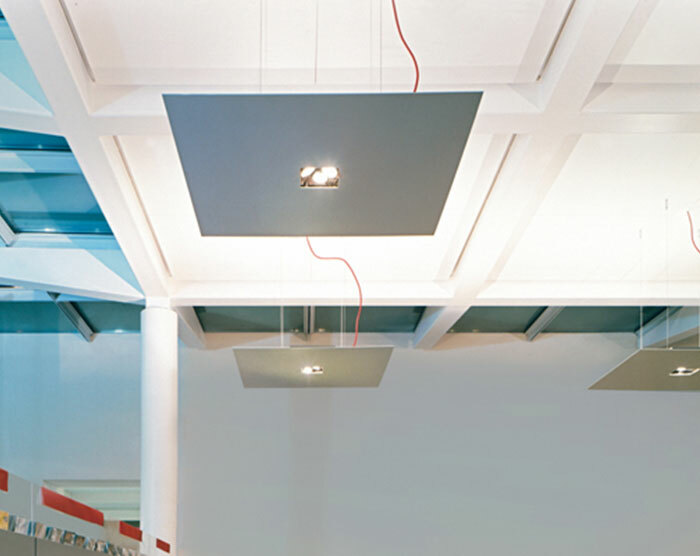 m7 sospensione also contains two 12V tracks which allow the installation of max 3 GU5,3 50W adjustable dichroic kits or GU5,3 led kits. a canopy is available upon request.